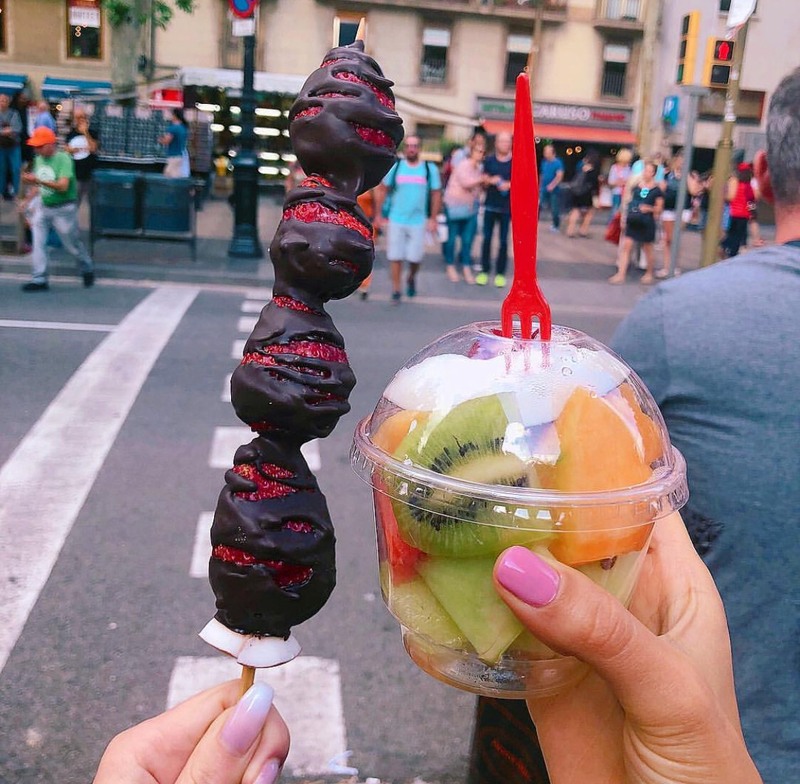 Exploring the streets of Barcelona eating chocolate covered strawberries on a stick – does it get any better? I usually don’t eat when I’m distracted and I think it’s a huge overlooked factor when it comes to digestive disturbances. Mindful eating is so important when it comes to digestion. It’s important to know that any type of stress can affect digestion – and your body perceives distraction as stress. Not only can distracted eating (eating while walking, driving or even watching tv) impact your digestion – you can also easily miss your body’s cues and overeat.